It is so freaking hot here. Is that how all my blog posts start lately? Until this heat wave passes, I will be living on blender ice cream – which isn’t a terrible diet since it’s fruit, fruit, more fruit, and a hint of stevia. And maybe a smidgen of vegetables thrown in. 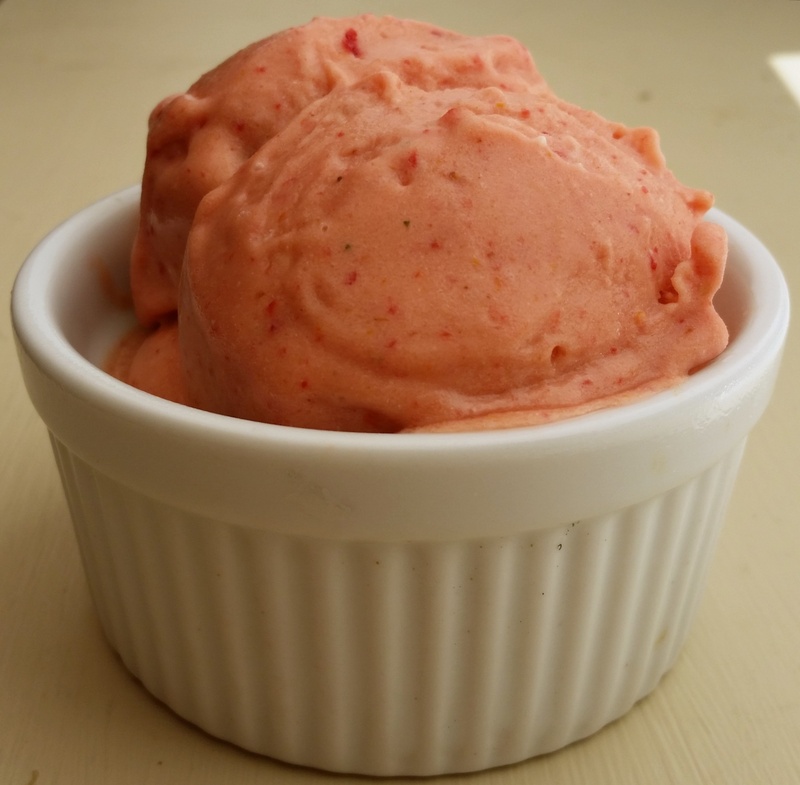 I snuck some tomatoes into this sorbet. You don’t have to, but I like how they give the sorbet a bit of earthiness to balance out the sweetness of the cherries.